Advances in technology have now brought us far into the future that no longer know the simple designs. Not just a movie, television show, or a three-dimensional game, now you can also have a three-dimensional wall. The walls are made of tiles that is designed specifically so that it has a unique shape. If you’re curious, these tiles are there in “Covering Stone and Tile Show 2013” in Atlanta, USA. At the event visitors can see the unique tiles are prominent, wavy, and is able to “invite” anyone to touch it. Large tiles on display at the event. Not only the size, each tile also has a right curve at all four corners. In addition, there are also tiles that not only has a large cross section, but also inspired the brick pile. The tile series of precisely uniform look when arranged on the wall. In addition to having a unique shape, this type of tile require other elements to make it interesting. One important element that is light. With the light, the parts are slightly protruding on the surface of the tiles can create shadows with various shapes. In addition to the relief,material difference also able to make wall coverings look unique. One example of the application of this case is well-known product designer Philippe Starck. He has a new product label, known as the Flexible Architecture for Sant’Agostino. The new label has a different approach to tile installation. “The connection is an issue previously bad. Now, the bad connection to more than just profits,” he said. One of the more slippery the surface and can reflect more light than the edges. It can also make the walls interesting, although quite simple. 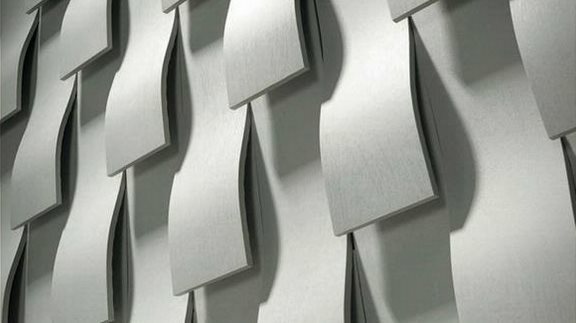 The Archconcept Collection produced by Apavista able to create a three-dimensional tile. This is the “star” of the event. Because the wall has a complex three-dimensional shapes and unique. Unfortunately, despite the attention, this type of tile is not considered practical because it is difficult to clean. There are also tiles with a surface resembling hieroglyphs. 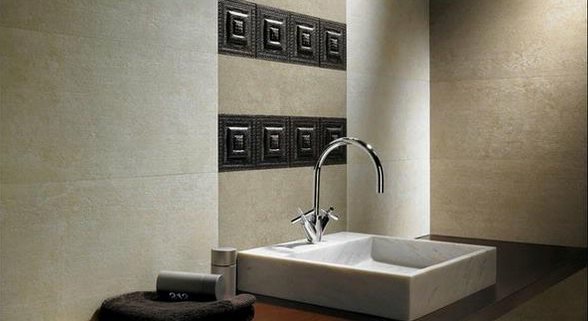 This type of tile looks flat, simple, classic, and suitable for use as a sweet mix for the adventurous home. Hieroglyphic tiles finer nuances rather than three-dimensional tiles. However, there is also a textured tile with “sculpture” fine. This subtle pattern can appear more “sweet” in a minimalist style. The tiles also have other types of no less unique. There are many tiles that resemble exposed concrete, wood, fabric, and even some who have delicate ornament resembling a series of pearls. Do You interested? « Access To Over 16,000 Woodworking Plans and Projects!